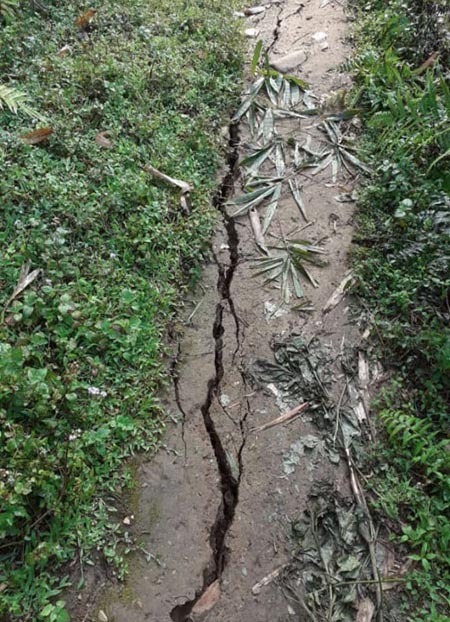 ITANAGAR, Mar 14: The C-17 Globe Master of the Indian Air Force (IAF) successfully carried out a historic landing at remote Tuting’s advance landing ground (ALG) in Upper Siang district on Tuesday. The C-17 Globe Master is one of the largest military transport aircrafts. It commonly performs tactical and strategic airlift of missing transporting troops and cargo. The crew members included Group Captain K Rama Rao, Wing Commander K Trivedi and Squadron Leader L Nayak. Tuting ALG is located amidst challenging hills and narrow valley. 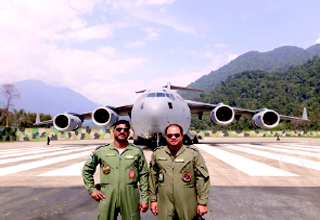 The mission was carried out to demonstrate the C-17 aircraft’s operational performance, and capability of tactical air mobility of the Indian Air Force. Earlier, the IAF had landed the Globe Master at Mechuka ALG as well. The trial landing of the largest military transport aircraft was performed amid growing incursion of Chinese army along the Line of Actual Control.